A new stained glass rose window beautifies the north elevation of the chapel in Ryan Hall, at the University of Notre Dame, Notre Dame, Indiana. 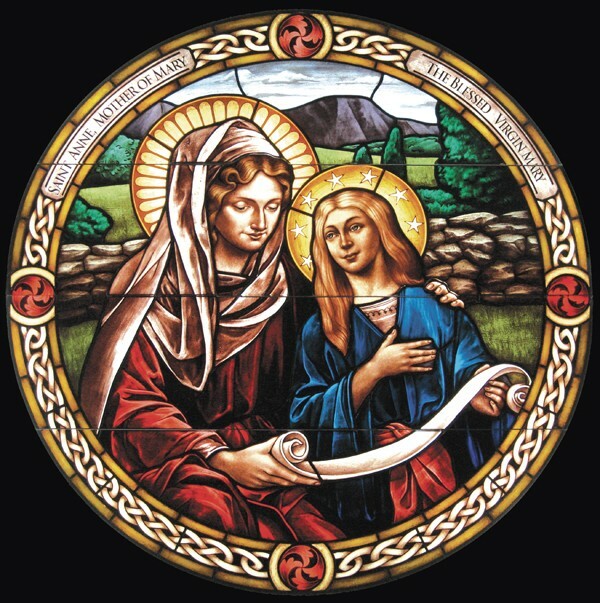 Conrad Schmitt Studios designed and fabricated this new traditionally-styled window representing St. Anne and the Blessed Virgin Mary. In addition, the Studio has created new windows for the chapels in Geddes Hall, Duncan Hall, Stinson-Remick Hall and the Law School.